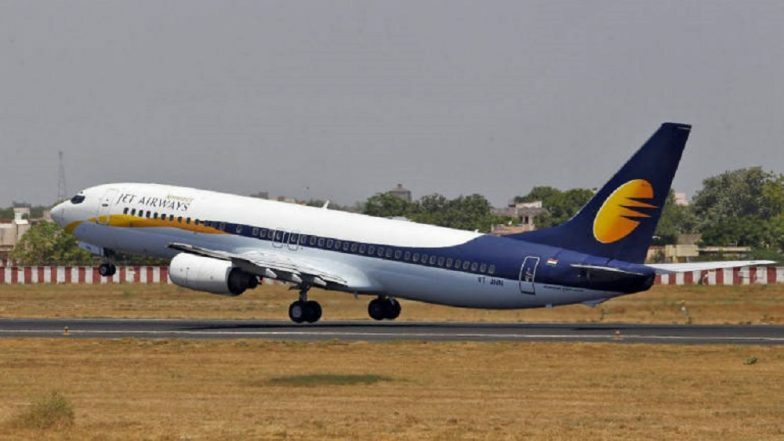 Mumbai, April 14: Crisis-hit Jet Airways on Sunday said it has extended the cancellation of its west-bound flights -- to and from Amsterdam, London and Paris -- until April 16. "Jet Airways would like to clarify that it has currently suspended operations to SAARC and ASEAN destinations, as well as to or from Toronto and Paris from Chennai. The airline has also cancelled its long-haul, west-bound operations to or from Amsterdam, London Heathrow, and Paris until April 16, 2019," a Jet spokesperson said. Rajshree Pathy Resigns as Jet Airways' Independent Director.